Welcome to your home in Istanbul. 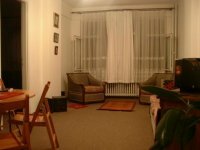 If you are at least 5 persons, you can rent a flat in the city center of Istanbul. It is cheap, dependable, also you will be free with your own home. 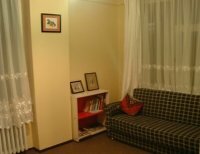 Here are some specific details about the flat; 120 m2, 3 rooms, 1 saloon, 1 kitchen and 1 bathroom and toilet with an entry and all equipped furniture. Please send us e-mail to get details and get more picture.